Outcomes research is a big part of providing great wilderness treatment for our students and families. For over 15 years, RedCliff Ascent has gathered outcomes research on each and every student in our program. This research has not only shown the success of our program but that the improvements last long after a student leaves the program. Click here to read more about the results of wilderness therapy. RedCliff is honored at the trust parents, consultants, and others place in us. In addition to providing a wonderful wilderness experience, RedCliff is committed to providing a safe environment for students. RedCliff has conducted client safety and risk management research for over 15 years. This research has been key in allowing RedCliff to provide a safe place for its students to grow and change. To read more about the safety of wilderness therapy click the link. Living in the wilderness is a very foreign experience for most of our students. This includes a major change in physical activity and diet. RedCliff prides itself on its clinical experience; however, we are also aware of the importance of physical activity and diet in an adolescent’s growth. RedCliff Ascent gathers and monitors body composition and body mass index (BMI) data on all its students. We do this to ensure your teenager is receiving the best diet and level of physical activity based on their individual physical needs. RedCliff has been gathering and monitoring this data for over 15 years on all its students. 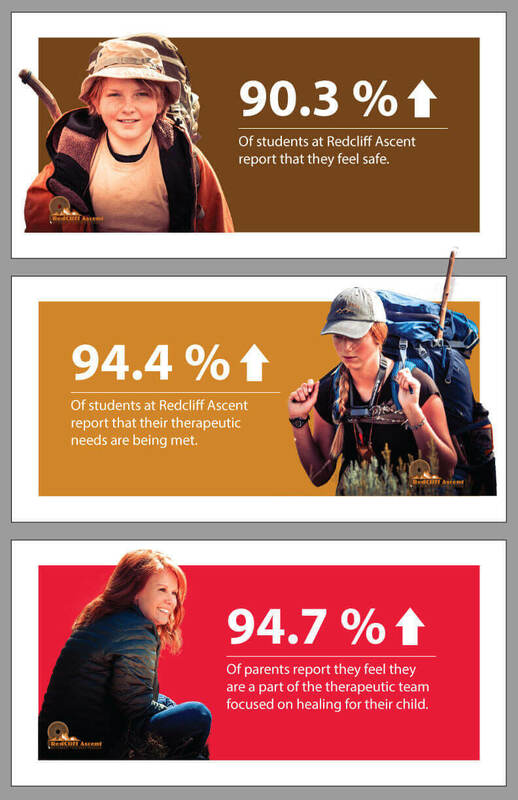 Wilderness therapy is a positive treatment approach with various contributing factors. Each day your teenager and family works with individuals as part of the whole wilderness experience. RedCliff Ascent wants your teenager and family to reach their treatment goals. But we also want them to have an overall positive and satisfying wilderness experience. To do this RedCliff studies each part of its program to look for areas it can improve. Some of these areas we study include: daily camp activities, staff, food, gear, support staff, administrative staff, admissions, intake procedures, graduation ceremony, student safety, therapist, and many other parts that affect the overall wilderness experience. We are constantly improving. Here’s a quick update on the latest in research – UNH Study on using outdoor therapy for those who battle with addiction. Watch the latest presentation by Steve DeMille talking about how wilderness programs can help your child. Steve DeMille is the Executive Director at RedCliff Ascent. Additional information about how RedCliff Ascent can help your family is available. Please explore our website or call an admissions counselor at 801-921-8488.